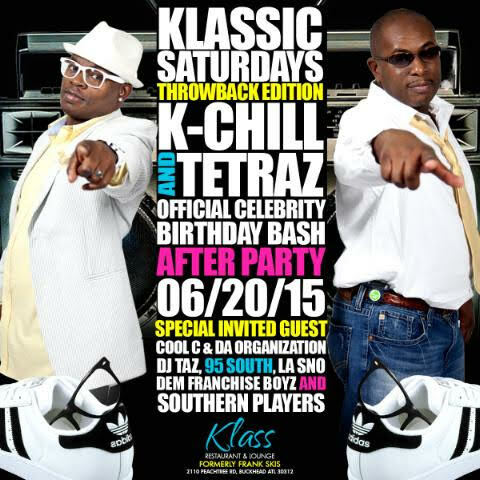 June 20th 2015 at Club Klass ( Formerly Frank Skis ) in Atlanta Georgia rappers K Chill & Tetraz will be having their Official Celebrity Birthday Bash After Party. The group is slated to perform at Hot 107.9 Birthday Bash June 19th at the Tabernacle along side heavy hitters like Bun B (UGK), Pastor Troy, Lil Scrappy, Mase, Kilo Ali, Trick Daddy, Fabo, Ying Yang Twins plus many more celebrities. The party will be live on the radio hosted by Big Dino from Metro Boyz Entertainment so you know all the stars will be out. Special invited guess include: Cooly C, Da Organization, Dj Taz, Franchise Boyz, Southern Players, La Sno, 95 South and many more. 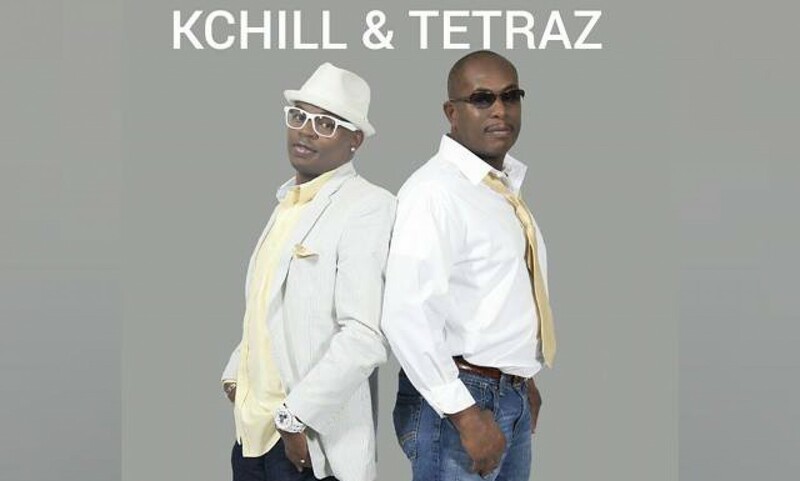 As far as the world knew the Atlanta based rap group K Chill & Tetraz only had one hit song which is “Set It Off”. Even thought their first release was a double single (Shake Like Jello/ Set It Off) that received equal radio spins people seemed to always love that “Set It Off” record. Now this is something that you didn’t know, they released multiple projects with some of the Souths elite bass artist as well as they would ghost write many artist songs. Yeah I said it “GHOST WRITE”! The truth is never as pretty as the hype of the stigma of rappers only rapping the truth from their heart. Lets get real this is the Music Business and this group is in the Business Of Music period. They collaborated and wrote the regional billboard charting single “They Be Jumping” with Michael Long. They released joint and solo full length projects “ThisIsWhatYouWant” “Amplified” and “Ain’t Nutt’n”. 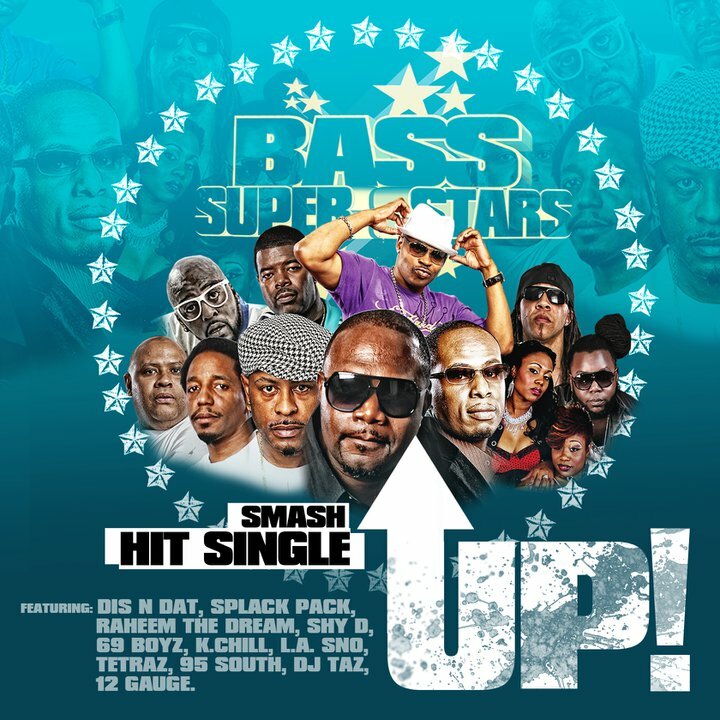 They assembled all the bass artist to form the Bass SuperStars and released the songs “Up” and “Superstar” and completed a full length album on them. If that isn’t enough they help crafted hit songs with The Crowd Pleasures like “I Betca Wont Get Crunk”. After the success of Freaknasty’s “Da Dip” single the group crafted multiple songs on his Freaknotic/ Crunk City . 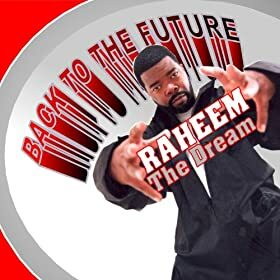 Also they did a collaboration with Bone Thugs In Harmony’s Lazy Bone and Freaknasty on the classic “Let Me See Your Tattoos” plus assisted Raheem the Dream with over half of his newly released “Back to the Future” album. Who knew? No one but the people involved and now the world but that’s not all. If you throw the “Certified Pimp” album into the mix and many more collaborations with stars outside of their genre of music it would be safe to say that these guys have been busy. Now how many of you knew all of this about the group? Some people may even say who cares, well you can’t appreciate your future or present without acknowledging your past. Atlanta History! 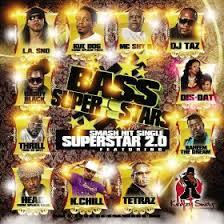 Krazy Swag Entertainment and Universal Music Group Distribution presents The Bass Superstars. This is the first time all of the bass legends have appeared on one song together produced by super producer Sam Peezy. The song “Up” features such stars as Kilo Ali, Dj Taz, Raheem the Dream, K Chill & Tetraz, 95 South, Mc Shy D, 12 Guage, La Sno, Dis N Dat, Splack Pack and the 69 Boyz. Atlanta, GA (1888PressRelease) May 06, 2015 – The Hot 107.9 Birthday Bash 20 Classic Throwback Concert is coming to The Tabernacle on June 19th, 2015. This show will be hosted by our very own Rickey Smiley and DJ Nabs. 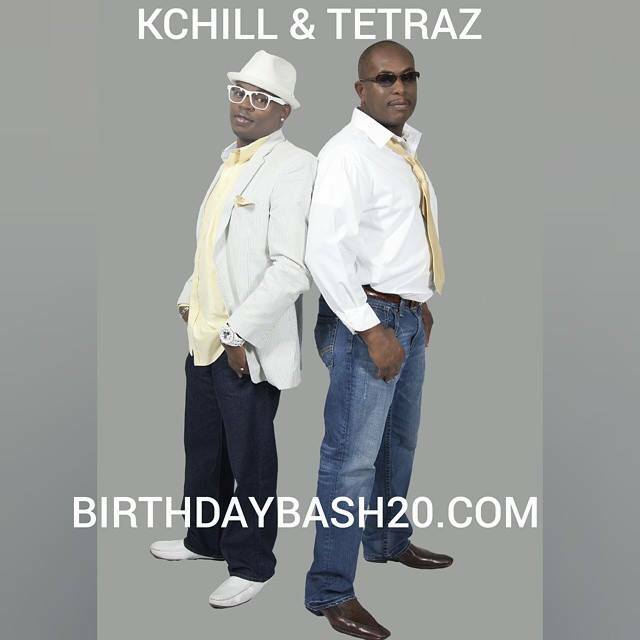 Birthday Bash is known for bringing out some of the biggest stars and this year is no exception. What is so unique about this show is that they have split the show into two parts to make it an all star weekend bringing out some of the biggest stars in the music industry such as Bun B, Trick Daddy, Ying Yang Twins, Lil Scrappy, Pastor Troy, Mase, Fabo, and The Bass SuperStars with many more to come. As the buzz starts to increase and the radio commercials start to roll out there is already starting to be a fever pitch of enthusiasm and excitement about part one of this show. Many fans online are talking about their favorite group and one group seems to be garnering quite the media following according to social media. K Chill & Tetraz, a group largely known for their explosive shows and charisma backed by infectious heart pumping tracks seems to have awakened new curiosity about their music and history. All I can say is reuniting for Hot 107.9 Birthday Bash 20 is a smart career move so I hope you get your tickets early because this show is sure to sell out.